Last night I was able to complete 77 qso on #40mcw as #EX0DX. It’s still very difficult to fight S9+10 qrm but with the windom antenna is somehow better on rx. 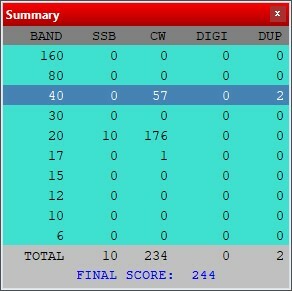 Today I enjoed 44 QSO on #20m CW but the most exciting part was to tun split on #20m SSB with 82 different stations. The 30m paid off but no US and I was forced to stop after sunrise as noise increase a lot with the dark. I know this are not huge numbers but I am satisfied for what I have here as local conditions.